The Autocare concept is a moving trolley that automatically vaccinates piglets. 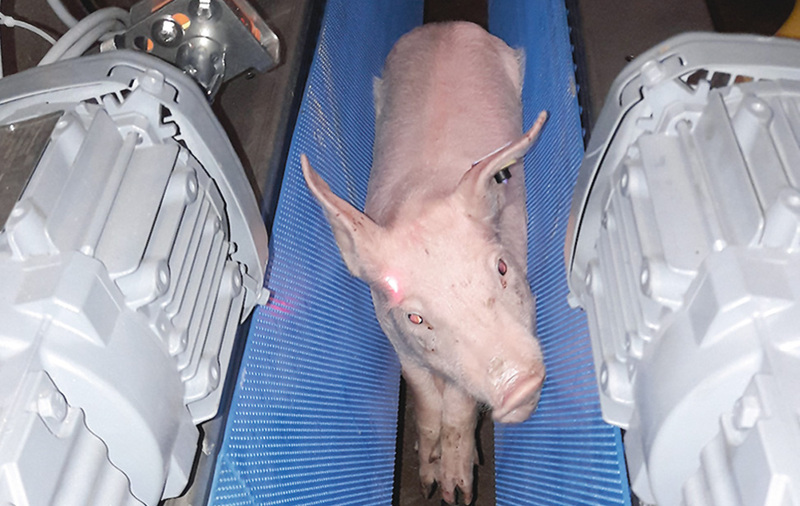 The piglet is guided towards a conveyor belt. This belt is run thanks to laser sensors that precisely place the piglet where the intra-cutaneous syringe is. The syringe moves thanks to an automatic arm which is able to perfectly place itself on the piglet’s back to inoculate the vaccine. The uniqueness of the product lies in the fact that it has an identification system via RFID, to immediately register the dose of vaccine distributed in the individual datafile of the animal. The recording of the data will be completed with the other data already recorded (feeding, medication, provenance, litter number and sow mother, ...). Thus, the "Autocare" vaccination trolley fits into the range of connected Asserva equipment and total traceability, while giving the farmer a saving of time, allowing him to focus on his core business: animals.